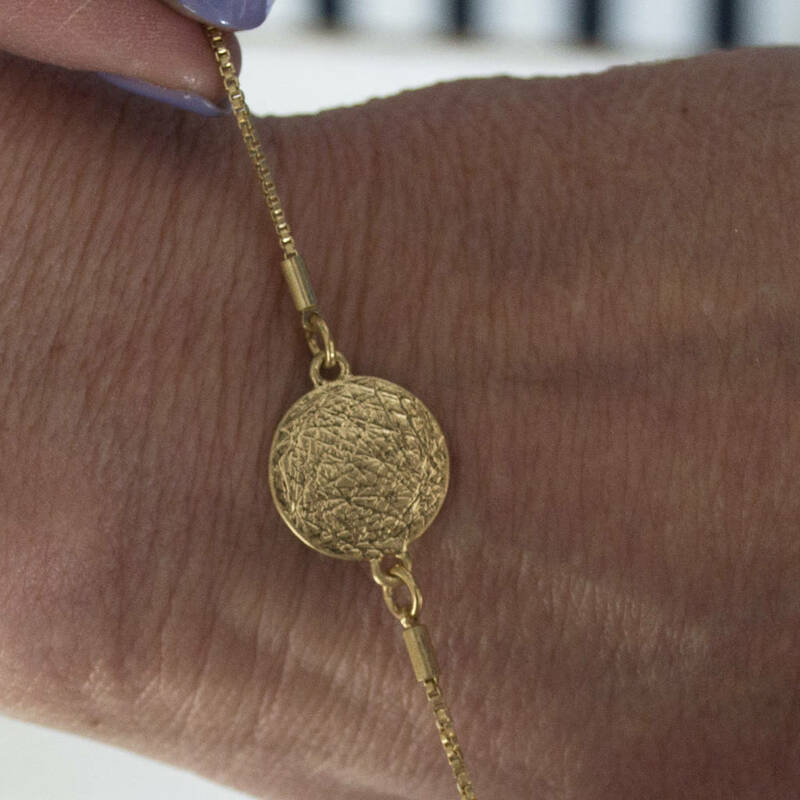 A gorgeous gold bracelet in a gift set - personalised to make the perfect mother's day jewellery gift. 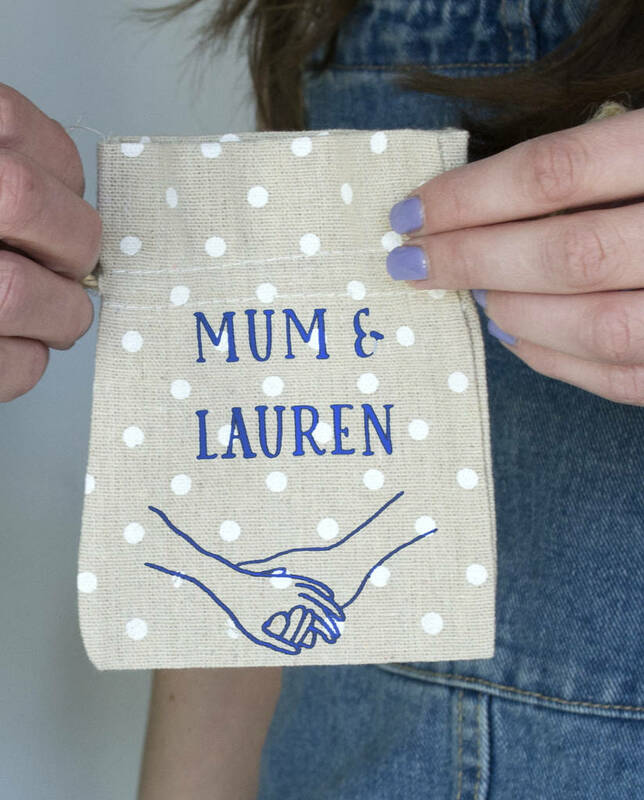 This gorgeous gift comes in a polka dot drawstring pouch which has a hand-drawn image of holding hands and an option to add names or a message. 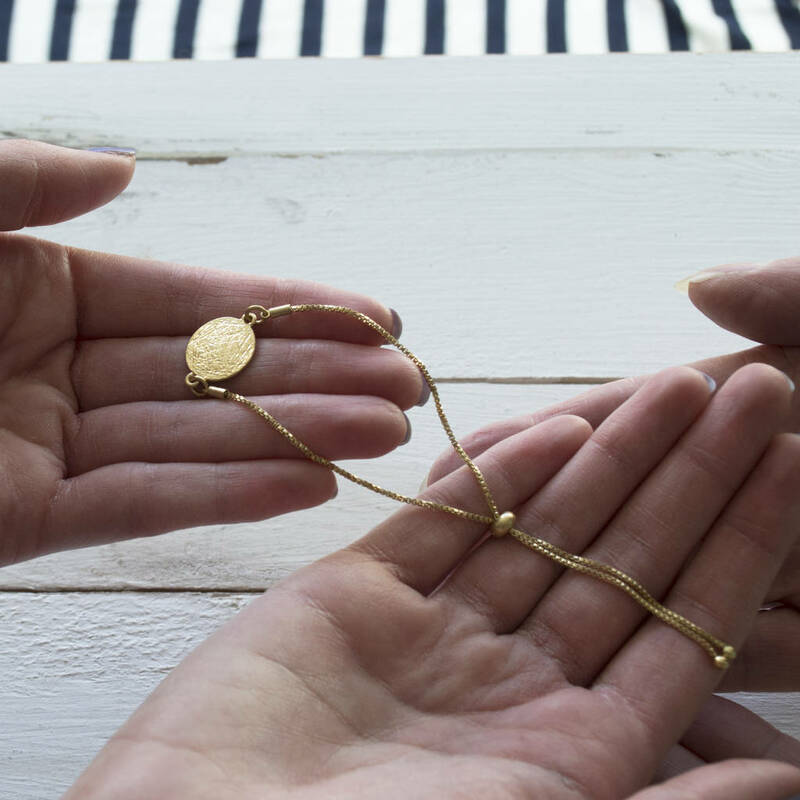 So say a big thanks for mum this mother's day, her birthday or jsut to say thank you! The bag comes with an option of being personalised.